Gas is a commodity we could not live without, but we cannot fail to recognise that it can be dangerous. Many of the substances’ properties have the potential to cause harm to both people and the environment if they are not managed well. Gases may be flammable, they can suffocate people and cause serious and long lasting health problems. This means engineers, health and safety professionals and others responsible for removing or reducing the risk of gases must deal with each hazard accordingly to ensure these risks are managed to the lowest level. Gas detection techniques and technology have an integral role to play. They can enable the effective management of risk when assessing and implementing control strategies to protect a company’s workforce, assets and third parties from unnecessary harm. In May 2013, images of astronauts taking an emergency spacewalk to investigate an ammonia leak coming from the International Space Station were transmitted to earth. While the six astronauts manning the station that orbits the earth were not at direct risk the unplanned moonwalk symbolises the urgency of detecting and putting right a gas leak. The Institution of Occupational Safety and Health (IOSH) strongly encourages organisations to adopt good practise methods for preventing unwanted gas release and detecting leaks, as well as ways to protect employees, the public and the environment if it is loose in the atmosphere. Certain environments require finely tuned methods of detection and precaution, simply because of the greater risk they pose. For example, petrochemical plants carry an increased risk of serious gas leakage, which can lead to explosion or fire that not only damages equipment, but puts lives at serious risk. Meanwhile, nuclear power stations use gases, such as CO2, as coolants to transfer heat to generate steam and to prevent reactor overheating. Any loss of CO2 could reduce the efficiency of heat removal and possibly lead to overheating. In both of these situations, gas detectors are used not only to keep the process operating safely, but to keep people safe by detection of any gas releases. "an effective formal maintenance, audit and review process is essential to ensure equipment is kept in good working order and is still best suited to managing each individual risk"
Some gases are relatively harmless, but it is vital that gases which are identified as toxic or flammable are controlled and managed safely. There are a number of factors that affect the need for speed of detection. These will include the type of gas, its temperature, pressure, quantity and toxicity, its proximity to employees and the public, the effectiveness of counteractive measures taken against it, and the speed and effectiveness of medical intervention available. Any system which uses gas can develop leaks – this can be through accidental damage or just as a result of general wear and tear. 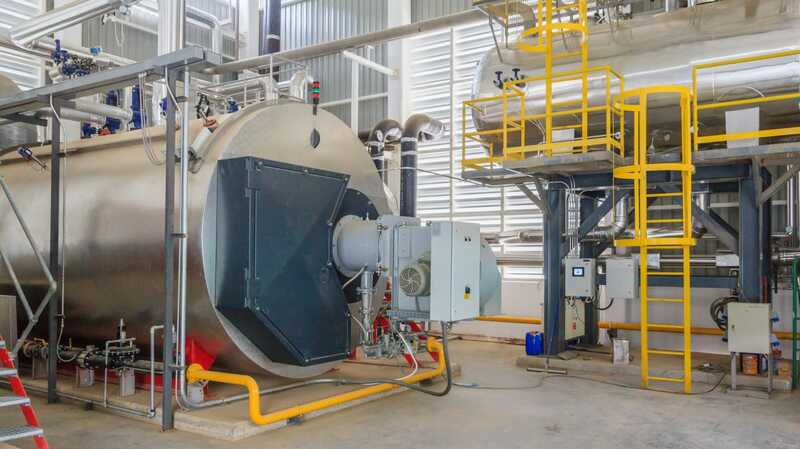 But the common causes are human error, corrosion, tired or faulty equipment, poor maintenance, or accelerated chemical reactions that increase pressure. Obviously the significance a leak has on the business’s ability to maintain normal activities will vary depending on the type of gas being used, its pressure and temperature, any products or reactions generated by the process, where the leak is located, and the quantity of gas that could be released. Part of the health and safety management process for selecting gas detection technology involves gas dispersion modelling, using likely locations where the substance could escape as a template. Varying densities, volumes, and temperatures of the gas are tested, along with differing weather conditions, to find out how the gas cloud is likely to form and disperse in the event of a leak. ‘Hazops’ – hazard and operability studies – also examine a company’s equipment and its operation, to determine the possible points at which gas may be released. Old and tired equipment is often a big problem, and wear and tear is frequently related to poor and inadequate maintenance. Failed pipe work, poor piping joints, leaking pumps or valve seals, vents and drains can become the leak culprits if they are not kept in good condition. An effective formal maintenance, audit and review process is essential to ensure equipment is kept in good working order and is still best suited to managing each individual risk. Some types of gas can also cause issues in enclosed spaces and workers can find themselves in a situation where the atmosphere cannot support breathing, so gas detection will be a part of the risk reduction measures. Gas detection is an essential part of the risk assessment process for working in confined spaces. Workers can find themselves in unplanned, harmful situations if they are not aware of the gases used, produced, or discharged in the area they work in. Workers need to be aware of the potential risk they face and how to respond should an emergency situation arise. Companies operating in high risk industries must take a structured review of any risks to plant, people and the environment, and that includes gas detection. The key is to ensure that elements of protection are proportionate to the level of risk involved. A common sense approach should be adopted at all times. The latter of these dictates that gas detection is essential for a worker’s health and safety, and is a key focus for IOSH because of the organisation’s core aim of protecting people at work. In 1986 it was reported that more than 200 canary birds were being phased out of Britain’s mining pits, and replaced by digital gas detectors following government plans. Dating back to 1911 canary birds were employed by each mining pit. The birds were known to be sensitive to toxic gases such as carbon monoxide – a gas that could easily form underground during a mine fire or after an explosion. The canaries were carried into a mine in a cage and any sign of distress was a symbol that conditions were unsafe. Overall the birds were replaced as the digital gas detectors were said to be cheaper and more effective when it came to recognising pollutants. "many hazardous industries will utilise ‘Hazan’ (Hazard Analysis) and ‘Hazop’ (Hazard and Operability) studies to identify risks with process plant and operations"
Modern electronic personal gas detection monitors sound an alarm when the gas rises to a dangerous level, allowing an individual to work in a hazardous area. The safe working levels workers can be subject to may vary from country to country – so if you work across different countries, make sure you are familiar with local requirements and legislation. Portable detection systems often assist workers undertaking tasks such as maintenance, where employees might disturb or release gas that should not be freely roaming in that environment. Portable devices are also a useful way of sampling gases, where workers need to measure the quality of the atmosphere. These systems are mainly used to ensure the protection of the wearer, whereas a fixed system is used to protect many employees at one time. They check for weak points in the plant where gas might escape, or detect dangerous leaks that may harm many people on the plant, the local community, and the environment. One of the main advantages of fixed gas detection is that the gas detector will monitor an area constantly, so that the leak is spotted even if an operator is not present, prompting the appropriate emergency response regardless. In terms of where they are placed in a building or process plant, this will depend on whether the gas is heavier or lighter than air. By way of example, everyone is familiar with smoke alarms and carbon monoxide detectors – perhaps the two most common methods of fixed gas detection. There would be little point in locating a smoke alarm at floor level, as smoke rises with the heat of the fire. The same principles apply to gas detection, in that detectors are placed in locations that will allow for the earliest warning. A fixed gas detection system is often the most effective way to detect gas, because building structures can contain it, making it easy to pick up. But certain structures release or allow the gas to escape away from its source, meaning the detection process must be more complex. Gas detection outside requires many detectors to provide blanket coverage across a wide area. After all, without the restriction of building walls and structures, it can escape in any direction, depending on wind and weather conditions at the time. In these circumstances, they are installed to cover a number of typically predictable sources of leak, such as corrosion hotspots or sampling points which might be overlooked by manual detection. To be effective, equipment must be able to detect the gas at the concentration required to maintain control or safe conditions. For example, there is very little point in using a gas detection device that will only detect flammable gas when it enters the ‘Upper Limit of Flammability’. In this situation, it will have exceeded the Lower Limit of Flammability and may have already caused a fire or explosion. The sensitivity of the gas detection device must reflect a substance’s lower explosive limit or toxic levels, to give early warning of any danger. Over the years, the acceptable exposure limits have been reduced, either for safety or environmental reasons. The nature of hazardous industries is such that the board is likely to have an increased focus on health and safety decisions. The board may view safety reports that have been compiled by multidisciplinary experts, who should identify major hazards that exist within the organisation, assessing their impact and the ways to control and mitigate them. These reports can act as a framework for the company to put effective equipment and procedures in place to help reduce and manage the risks. Many hazardous industries will utilise ‘Hazan’ (Hazard Analysis) and ‘Hazop’ (Hazard and Operability) studies to identify risks with process plant and operations. The results from these studies can inform businesses which level and standards of gas detection are required to keep their plant, people and the environment safe. While it is less frequent for fatalities to be caused by leaks of asphyxiating or toxics gases, leaks of flammable gases have led to explosions and fires that have caused large loss of life and extensive damage to infrastructure. Meanwhile, in the UK, in 1988 the Piper Alpha Disaster claimed the lives of 127 people when a leak of natural gas ignited, causing damage to fire protection and secondary fires on an offshore platform. This remains the worst offshore and gas incident in history and the resulting legislation, proposed by Lord Cullen in his post-tragedy enquiry, reshaped the offshore industry. All of his findings have now been implemented, or at the very least considered, across the whole of the offshore oil and gas industry. What makes these events more tragic is the fact that each was preventable – the major hazards that could result from the gases released were well known and documented. What is more, the technologies to prevent these accidents from happening were and still are available. Organisations – in the hazardous industries specifically – need to learn these lessons to prevent gas releases in the future, putting in place the right measures to detect them and control them if a leak occurs. Published: 28th Jan 2014 in Health and Safety International.